If you are a guy who has everything, you probably have a big ranch in Arizona or something. You need a fire suppression vehicle that can get out into the brush and put out your fire before all your chickens are in jeopardy. This 1979 GMC 7000 Fire Truck 4x4 in Los Angeles, CA will fit the bill for the low low price of only $16000 via craigslist. This post is part of DT's 2016 Birthday Celebration of 100 cars; enjoy the ride! 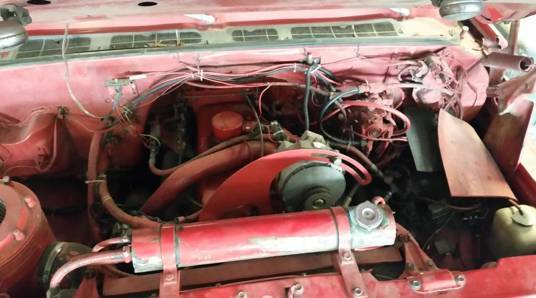 The owners of the truck claim it only has 26000 miles. The paint shines like it has been stored indoors all its life. 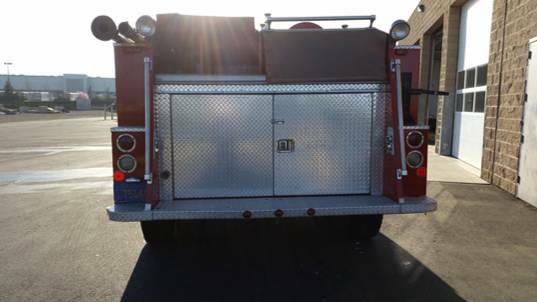 Being a fire truck, you can rest assured that maintenance was always attended to proactively. 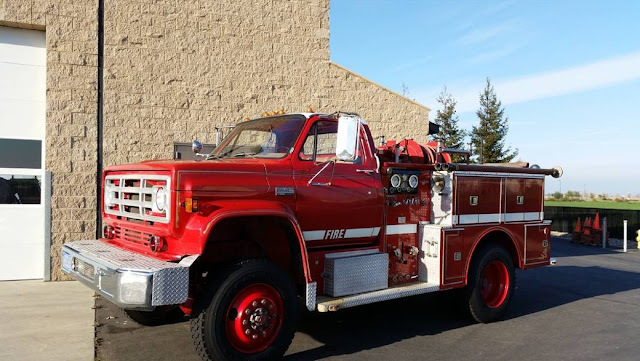 The lovely red fire truck with nice shiny chrome bumpers would be at home in any parade. Shots of the exterior also show off new looking Goodyear tires. There is a picture of the diesel engine sunk deep in the engine bay. It looks like someone took a red spray can and tagged everything under the hood. 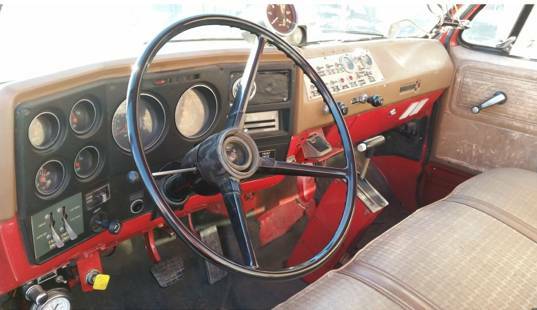 The interior shot shows off a a typical square body chevy interior except with a million more switches and gauges added everywhere.